Since 2001 1uhost.com has provided the best low cost web hosting solutions, VPS and domain name services for the professional and personal user. We employ multiple versions of PHP including version 7. * and enable superfast HTTP/2 Hosting. We are passionate about providing you with the best possible hosting and domain services you can get, and ensuring you receive our professional support when ever needed. 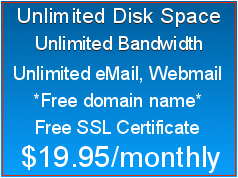 1uhost.com offers you a variety of cpanel hosting plans and bespoke options are available on request. 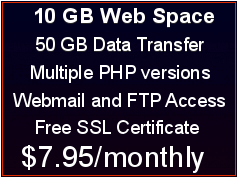 All plans offer disk space to store your website and a generous monthly data transfer allowance. Email and Webmail are also provided. Also included in every hosting plan is at least one Addon domain giving you multi website hosting ability so you can host more than one website for no extra cost. Technical support is also available 24/7 to help resolve any problems you may encounter. 1uhost.com are IPv6 DNS Providers. Web Hosting starts with a domain name and here at 1uhost.com we have a great search and register tool to help you find your choosen domain name. Don't worry if your first choice is taken as there are now hundreds of new domain name extensions to suite your needs. We can easily upgrade your virtual private server (VPS) in just a few minutes should your require more resources like extra disk space, memory or bandwidth. If you don’t have your own website we will create a free WordPress website for you to get you up and running. WordPress is an incredibly popular Content Management System (CMS) for web sites. It’s well known for being easy to use and simple to update. Whether you’re creating a blog, a small business web site or somewhere to display information for your sports club WordPress is one of the easiest and most powerful systems on the web and it powers millions of websites worldwide. Our free website offer will include a home page, an about us page and a contact us page. After selecting and ordering your choosen hosting package from us simply let us know if you require the three page free WordPress website and we will have it up and running as soon as possible! We believe that our customers comes first and strive to provide world class reliable hosting and support, where ever you are in the world we are always there for you 24/7. Our technical support staff operate from data centers in the USA, Canada, Europe and the UK. 1uhost use the Apache web server to deliver website content from our CloudLinux operating systems. For PHP content we employ Mod_lsapi which known to be the fastest and most reliable way to serve PHP pages. Together with HTTP/2 connections and advanced caching modules we ensure your websites content will be loaded as fast as possible. Our cPanel web-based control center makes your website management real easy! Giving you the ability to administer every facet of your website using simple, point-and-click software. File Manager. This feature allows you to upload, create, remove, and edit files without the need for FTP or other third-party applications. You can also back up your files and directories, and monitor your website’s disk space usage. Domain Manager. Set up subdomains, addon domains, parked domains, and redirects to point visitors in the right direction. Identify your site with Simple DNS Zone Editor and Advanced DNS Zone Editor. Database Control. Store large amounts of data and limit access using MySQL and MariaDB databases. Manage your existing databases with phpMyAdmin. eMail. Create email accounts, forwarders, and autoresponders as well as account and user-level filtering to manage email. Fight spam with MailScanner, Apache SpamAssassin, and email authentication. Then, use mailing lists to broadcast your message. FTP Connections. Use the FTP connections interface to view current connections to your website via FTP. Terminate FTP connections to prevent unauthorized or unwanted file access. Backup your files. Use the cPanel backup interface to back up your website. This feature allows you to download a zipped copy of your cPanel account’s contents such as your home directory, databases, email forwarders, and email filters to your computer or laptop. Security. Configure password-protected directories, IP address denials, SSL/TLS, and GnuPG key settings to restrict access. Protect your site with HotLink Protection, Leech Protect, and ModSecurity. Logs and Stats. Know your audience and track your website’s performance using Webalizer and AWStats. Use the Visitors interface to view the most recent entries in the Apache log for your domain names. Use the Errors interface to display the last 300 errors. 100,s of free Apps to build a website. Use our ‘Softaculous’ one click installer to easily create your blogs, bulletin boards, guest books, eCommerce, WordPress and more to build a robust, dynamic website.